Hugo adventure: The mystery Island is a game based on a game show on TV. After rescuing families out witch Scylla, hugo were lost to the mysterious lands with 5 islands. Hugo is on the mission of his life. He is out to find gold, diamonds and rubies whilst battling the evil witch Scylla, the dangerous crocodile Don Croco and huge nasty spiders. 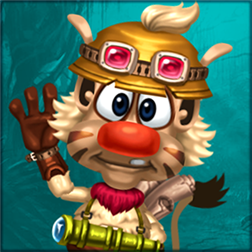 With your help Hugo must avoid discarded dynamite, running into errant mine wagons, getting caught by sudden rock falls, and avoid falling into dangerous pits and other surprises.